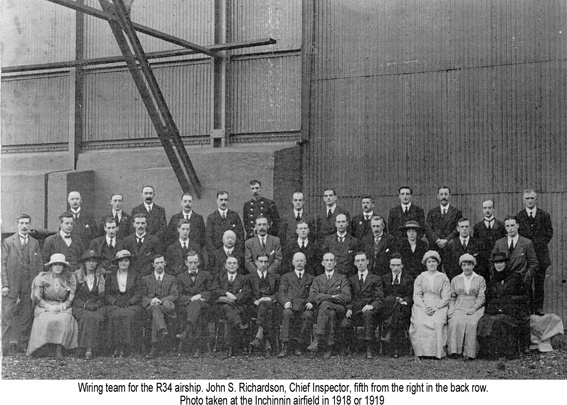 John Smith Richardson was my paternal grandfather, He was born plain John Richardson in Lanarkshire, Scotland in 1880, but his grandmother's maiden name, Smith, was added later. He was best known by his nicknames, Jock, Jake or Scotty. 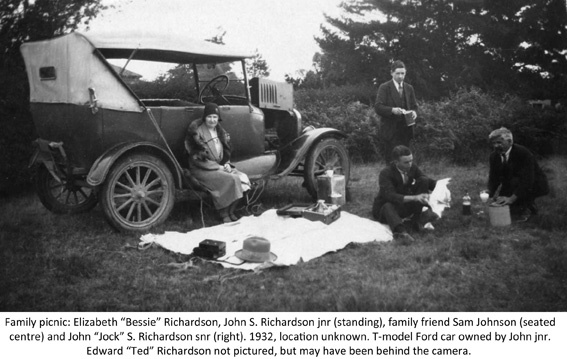 He married my grandmother, Elizabeth Mary "Bessie" McDearmid, in Glasgow in 1908, and they had two sons, my father, also named John Smith Richardson, and the younger Edward James "Ted" Richardson. 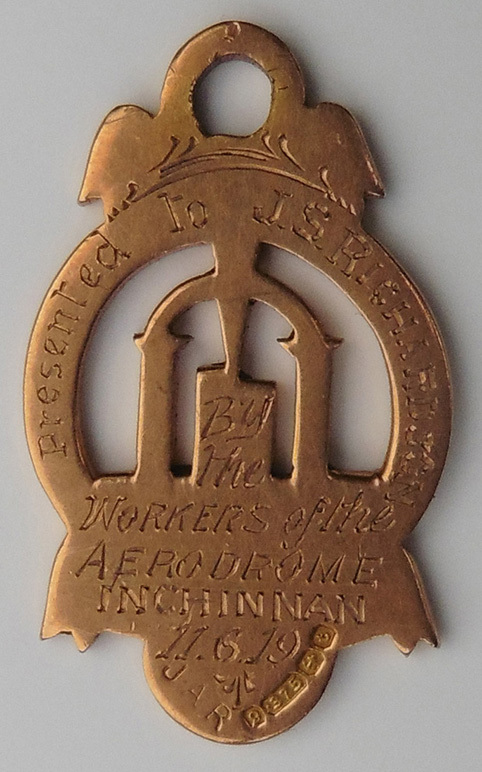 John was an electrical wireman by trade, but as work was in such short supply in Scotland, he set out for Australia on the HMS Osterley in 1913, leaving behind his wife and two young sons, in the hope that they could follow him once he got established. He worked for a time in Brisbane, Broken Hill and Wonthaggi, Victoria. 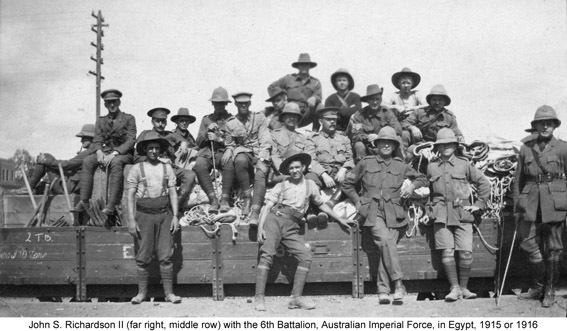 The Great War broke out in 1914, and the following year he joined the Australian Imperial Force's 6th Battalion. 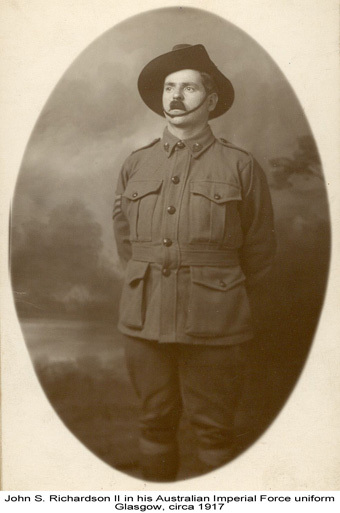 In October 1915, John travelled on the troopship HMAT Nester to join other Australian troops camped just outside Cairo. He was then aged 36. Not long after his arrival he developed a series of illnesses that made him unfit for active service. 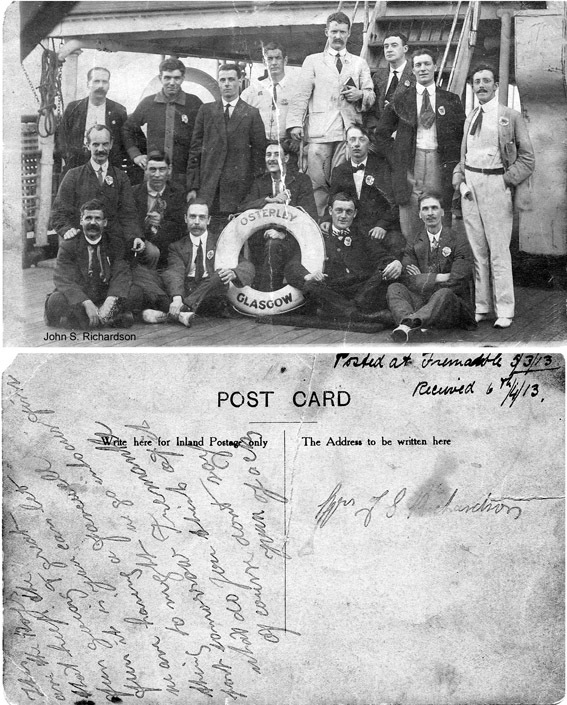 John recovered sufficiently to be transferred to England where he became a military trainer and was joined by his family. 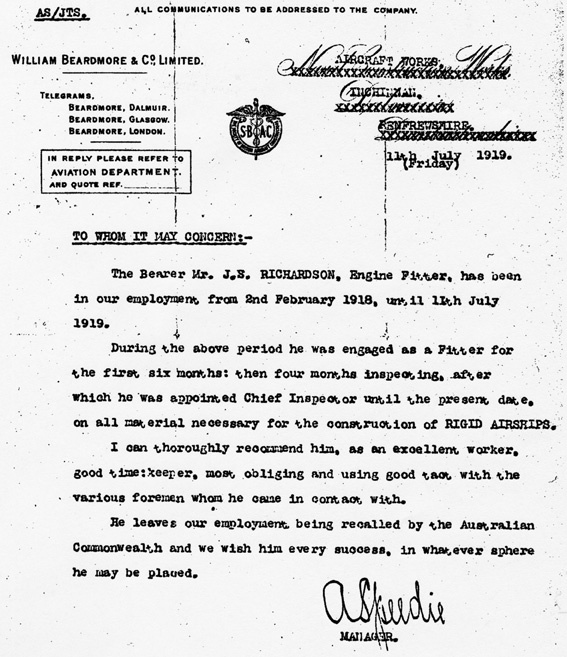 Despite having a heart condition that continued to make him unfit for active service, he was judged fit enough to be transferred to munitions early in 1918. 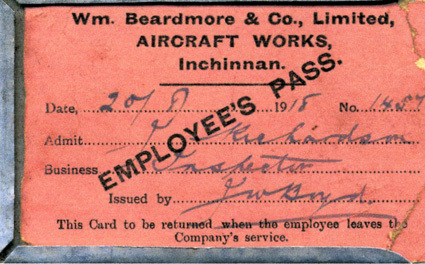 This involved in him being moved to Inchinnan, near Glasgow, to work as a wireman on the R34 airship being constructed by W. Beardmore and Company Limited for the British Navy. 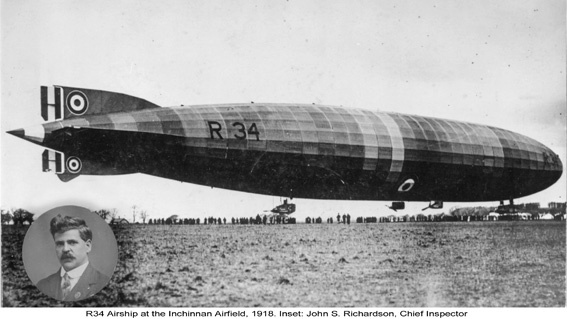 About the time the R34 was making its historic flight, John Richardson was returning to Australia on the the SS Bahia Castillo to be formally discharged from the munitions service and to look for work. He returned to Wonthaggi, where he was put in charge of the the electric pumps, fans and winches at at the State Coal Mine. He was joined in Australia by his wife and family early in 1920. He worked on and off for the State Coalmine before finally being made redundant in 1932 as part of staff cutbacks at the mine. 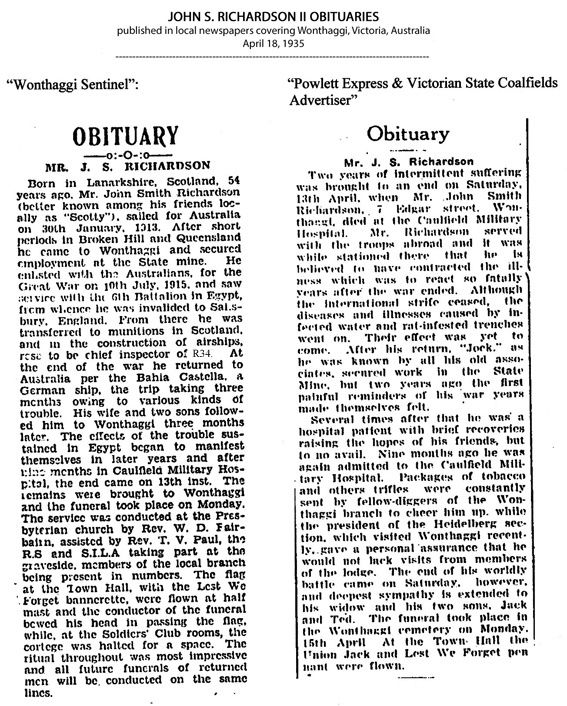 He and his brother Jim had a private coal mine near Wonthaggi and at another time a laundry. Both proved unprofitable. 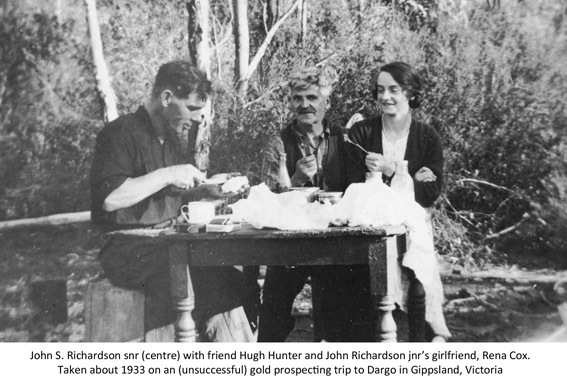 In his spare time, he was a keen, but not very successful, gold prospector in the Dargo High Plain in south-eastern Victoria. Eventually, John's poor health got the better of him and he spent his final nine months as a patient in the Caulfield Repatriation in Melbourne. 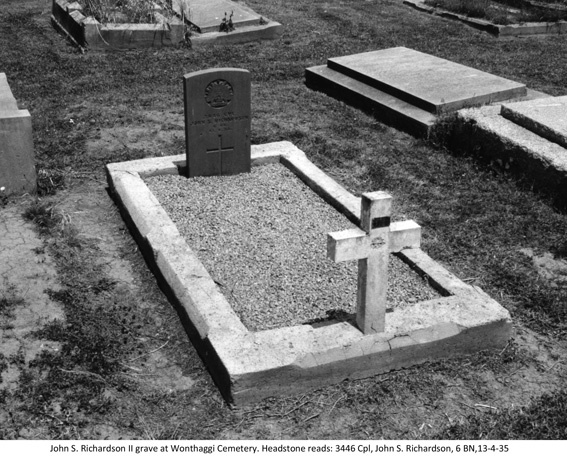 He is buried in a war grave in the Wonthaggi Cemetery. IAN RICHARDSON ADDS: I never knew my grandfather Richardson. He died before I was born, but I deeply regret that I failed to learn more about him when my father and my grandmother were still alive. He was clearly what could be described as "a character" and I feel there could have been much to say about his life.